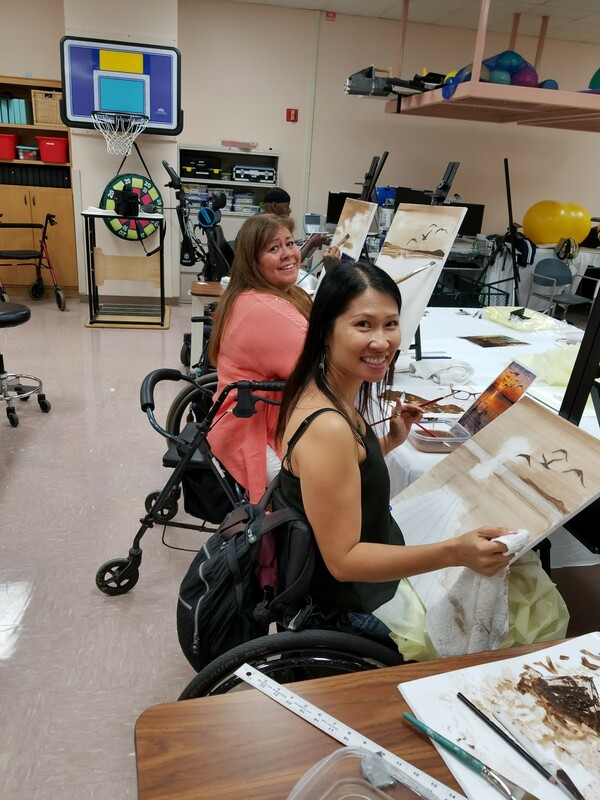 Since 1996, the Rancho Los Amigos Foundation has been partnering with Rancho Los Amigos National Rehabilitation Center to provide individuals with disabilities the opportunity to explore the visual arts. Many of our Rancho artists began their artistic journey in the Don Knabe Pediatric Summer Arts Program and have progressed to the point of becoming instructors. 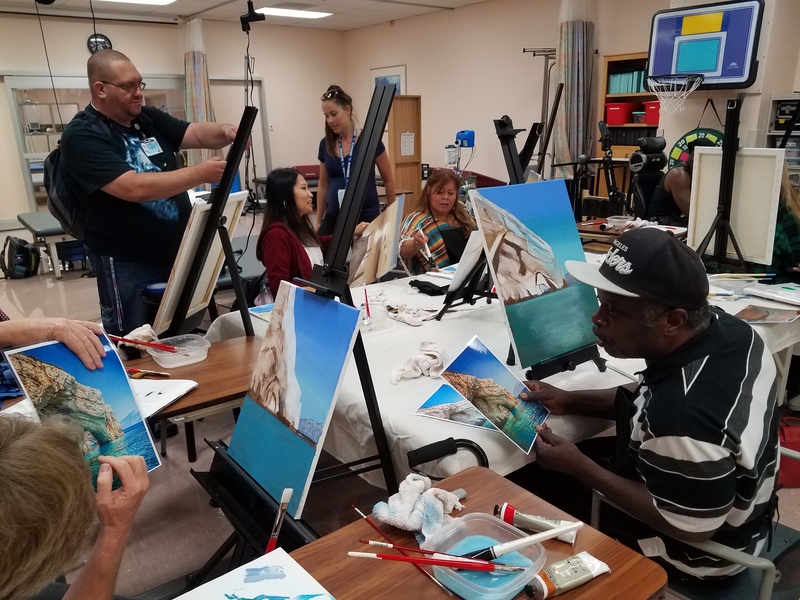 Rancho uses the arts as tool to educate our local community about the ability of our patients. Each year, the Foundation has supported a formal Art Show for our Rancho artists. During the show, our artists are able to display their artwork, as well as sell it to the general public (the exhibition typically draws 300 guests). For more information regarding participation our adult arts program, please contact (562) 385-6323. 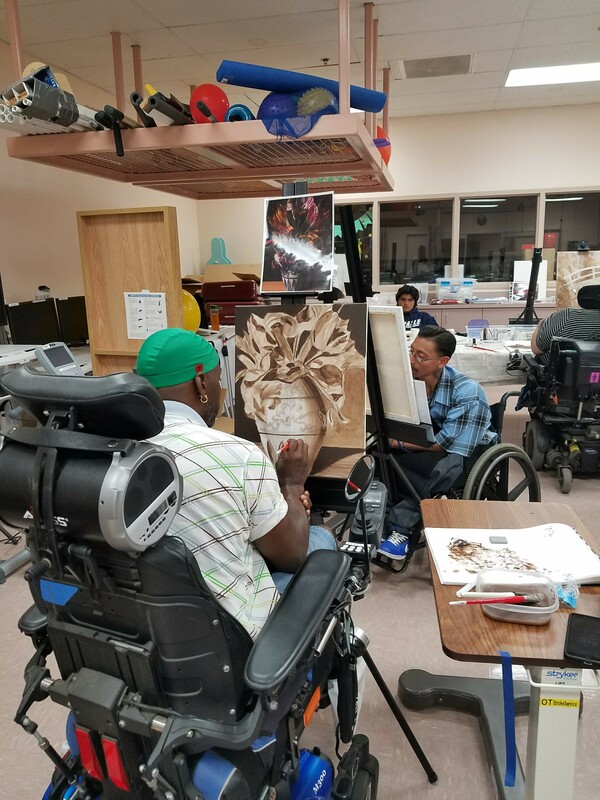 If you would like to donate to Rancho’s Art Program, please click here or contact the Rancho Los Amigos Foundation at (562) 385-7053 or foundation@rancho.org.